It’s a plummy kind of day today. Robert and Stephanie picked buckets full of red and yellow cherry plums for me a day or so ago, elderberries too. All ‘foraged’ of course. 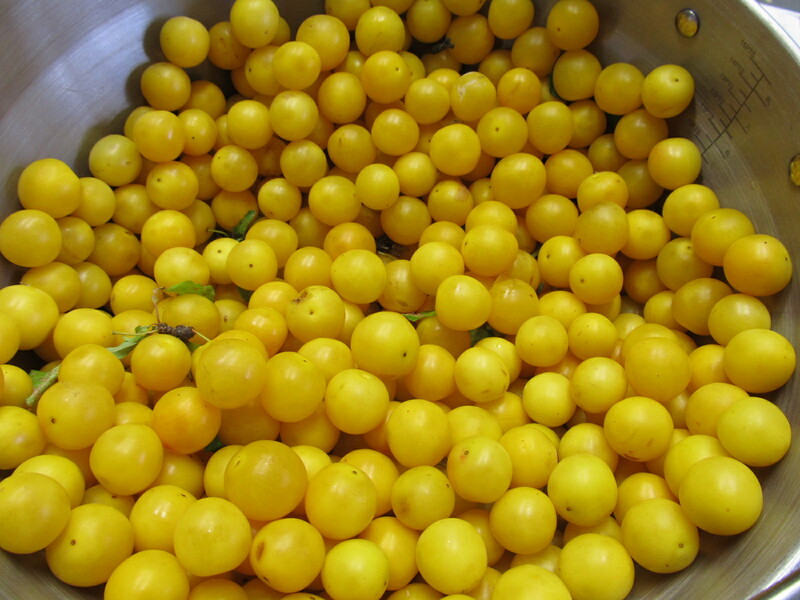 Both yellow and red cherry plums make wonderful jelly, not just for scones and toast and topping jam drop biscuits, but also excellent for glazing fruit tarts, very special indeed. 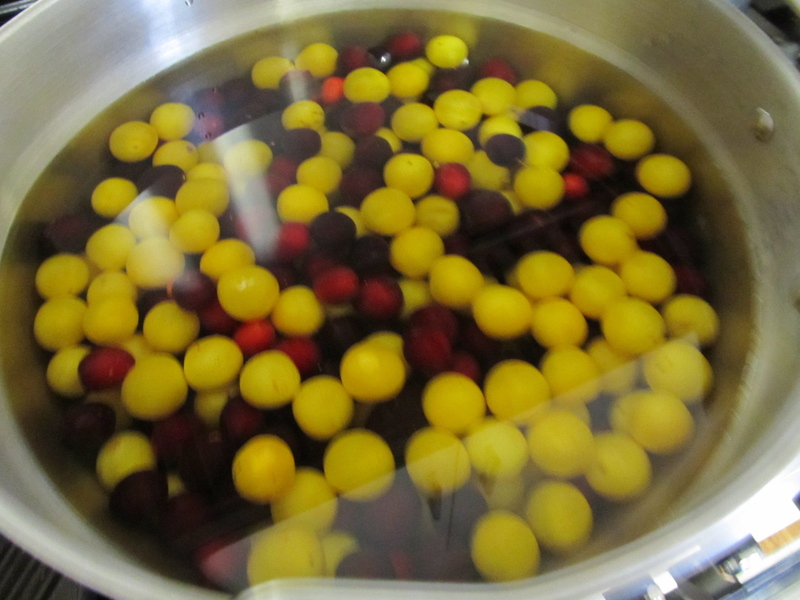 A combination of red and yellow makes a lovely cordial, and the remaining yellow plums form the basis for a batch of Worcestershire sauce, one of the most useful preserves in anyone’s pantry. Damson plums are more usual as the base, but it doesn’t matter – any fruit will do (apricots are really nice also). Recipes of course are in my book “Complete Preserves”. I have copies here at home by the way, if anyone needs one in a hurry. 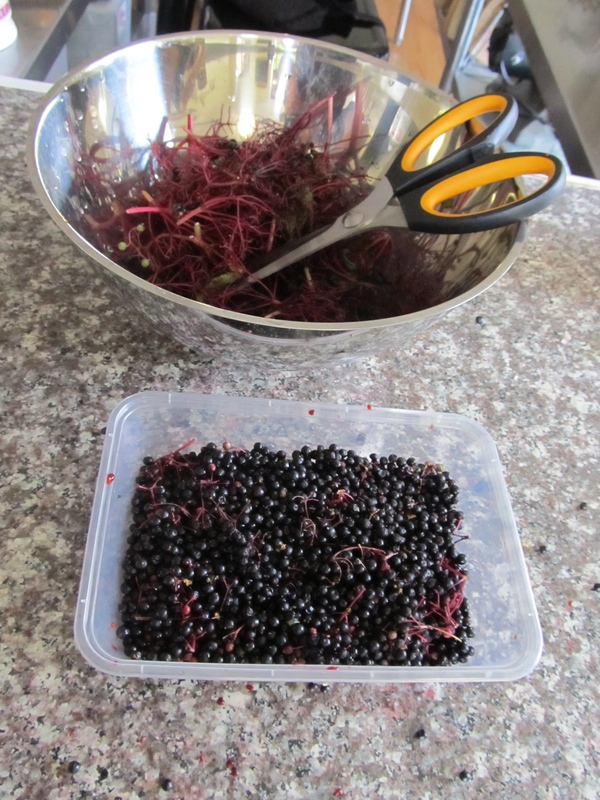 The elderberries are a little tedious to remove from their stalks, but well worth the effort. They make magnificent cordial syrup, and what’s more it’s almost medicinal. Elderflowers and elderberries have been recognised for hundreds of years as ‘the medicine chest of the country folk’. A little of the cordial in a mug of hot water does wonders for the symptoms of a cold. As I looked around the cooking school kitchen after all of this, with pots covered with juice, strainers and colanders dripping, I did have a fleeting thought that I really wish I was a tidier cook. 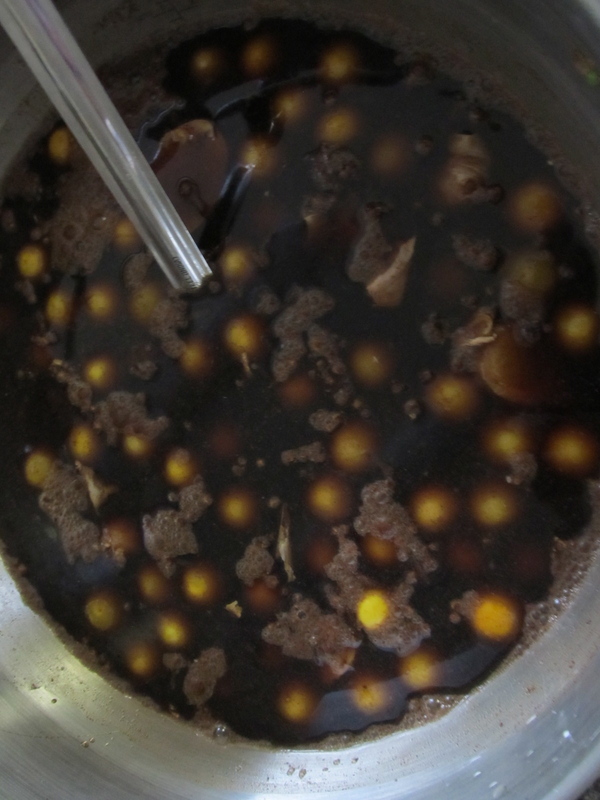 But then again tomorrow is another adventure – we are pickling a large amount of Stephanie’s bumper crop of garlic. We plan to invent a new recipe this year. I can clean up after that, just in time for a Farm to Fork class on Saturday. As a final word, today was marked for Poppy’s grooming. Last time you may recall, she disgraced us by biting (most ferociously) the groomer’s thumbs, left them bleeding quite badly. When we returned to pick her up I was so worried that she would have repeated that performance. As we walked through the door, I heard the sound of a vacuum cleaner – was this the groomer’s blood being sucked up off the floor? No, she was an angel this time apparently. What a relief. I think you might agree that she looks rather cute. 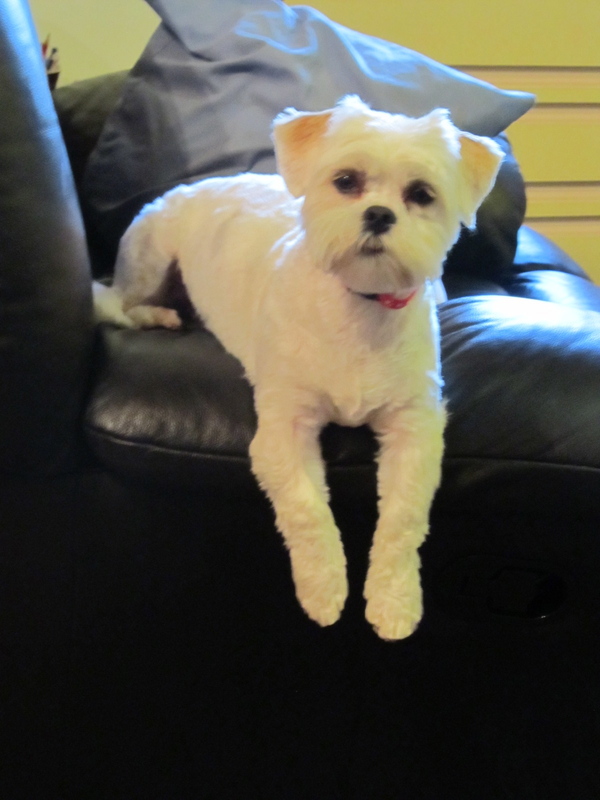 Biggest thanks to Spot On Dog Grooming in Moonah for their patience with her. Her reward was a brand new collar and several doggy treats. I will have to watch that I don’t over-spoil her again. Can’t wait to see what else the Valley has to offer by way of produce over the next week or so. 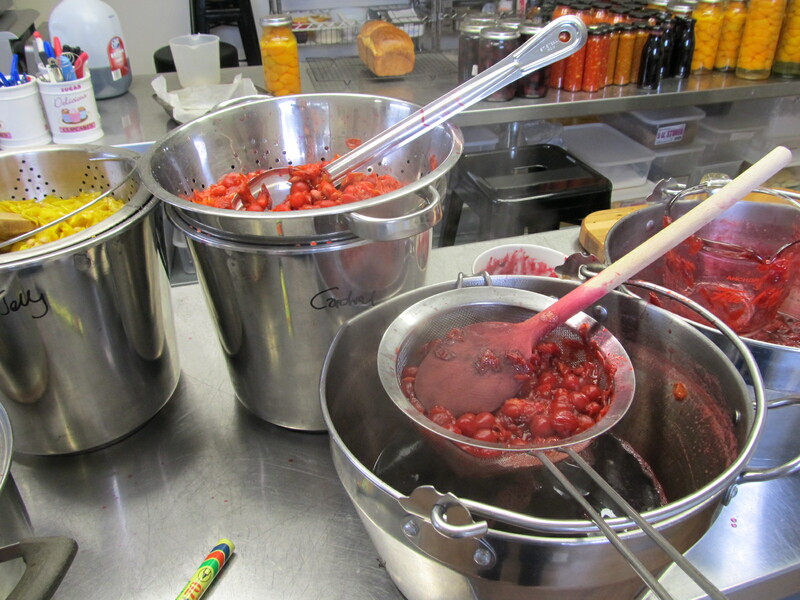 The preservers and jam pans are all primed and good to go….